No matter how you load your silverware basket, powerful jets blast away stuck-on food for silverware that's always spotless. Easily clean an entire flatware collection, knives and small utensils with an additional rack across the top of the dishwasher. Clean hard-to-reach areas inside tall items with up to 4 dedicated jets integrated into the upper rack that shower water deep inside for the ultimate clean. Configure racks to fit your dishes with adjustable loading options including multi-position, fold-down tines. 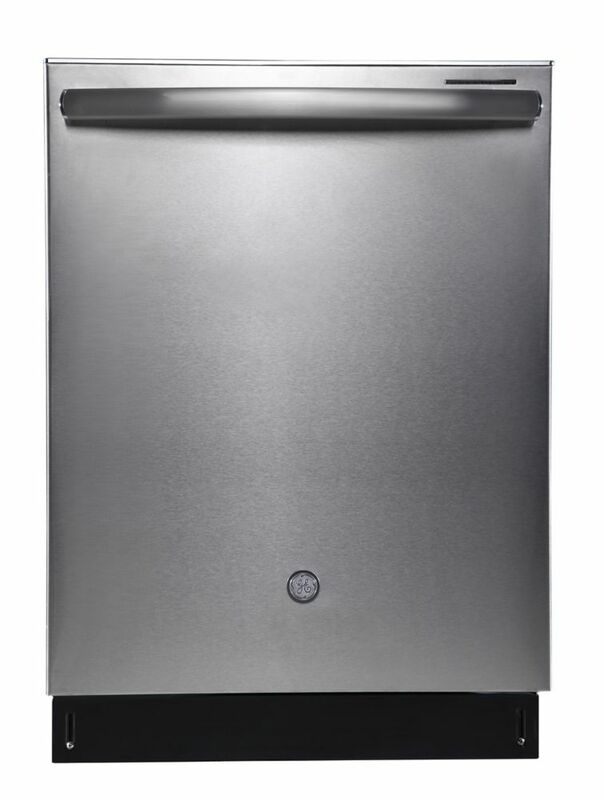 This GE built-in dishwasher offers a true built-in appearance with under-the-counter installation flexibility. It features fully integrated inlaid electronic Light Touch controls with six cycles and three options; the modern controls make it easy to program the dishwasher. The five-level wash system provides effective, yet quiet cleaning power, with an audible end-of-cycle signal indicating when the load is complete and dishes are ready to unload.